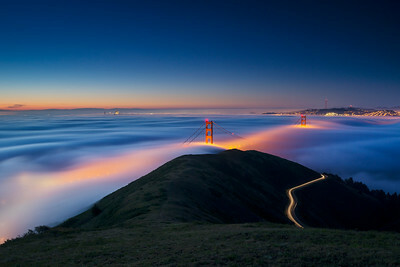 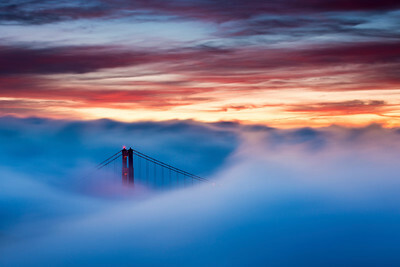 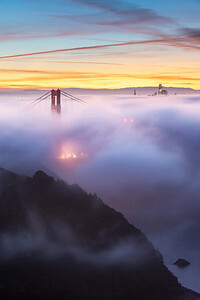 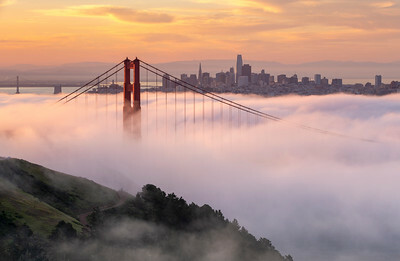 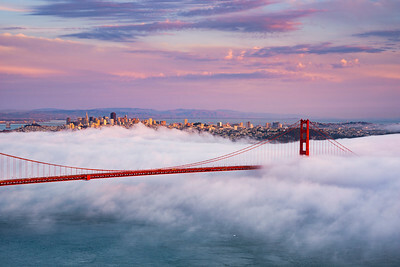 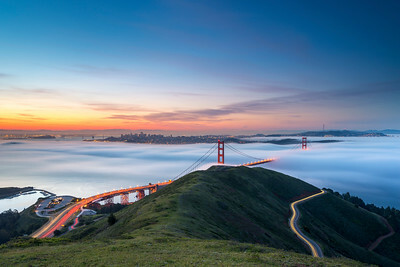 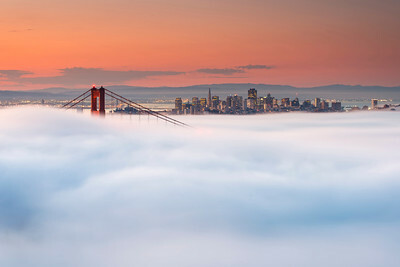 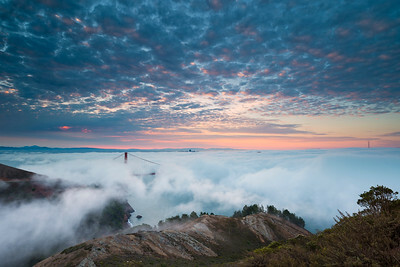 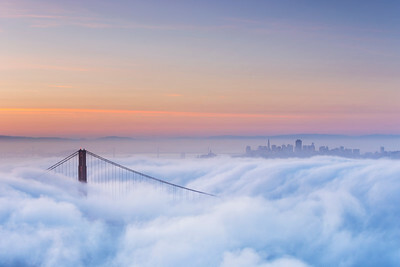 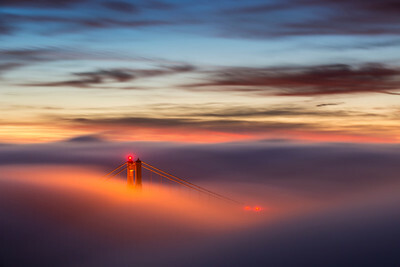 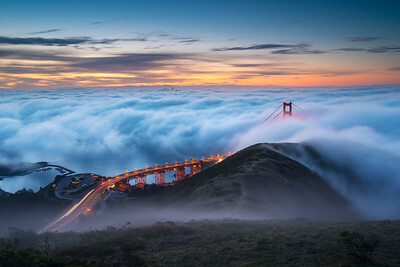 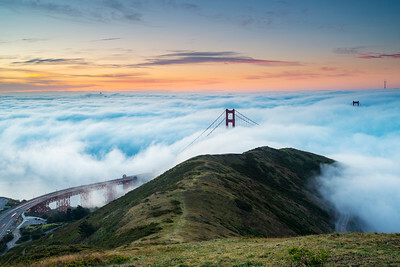 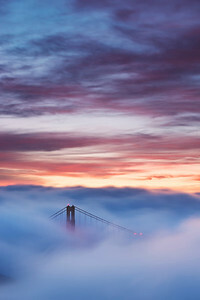 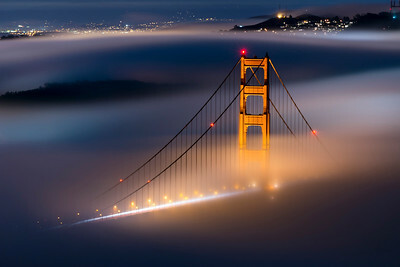 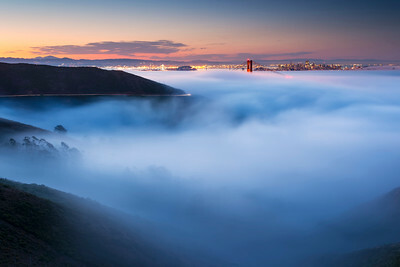 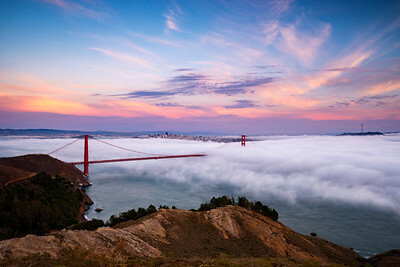 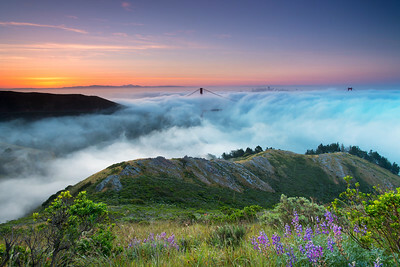 The Golden Gate and a sea of fog at dawn. 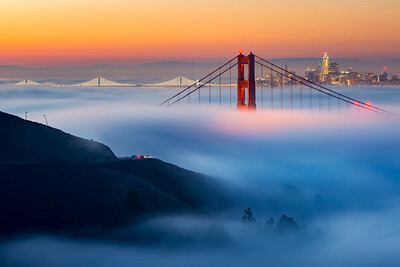 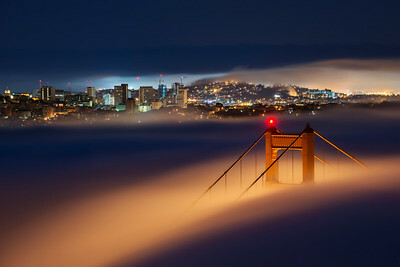 Early morning fog rolling through the Golden Gate. 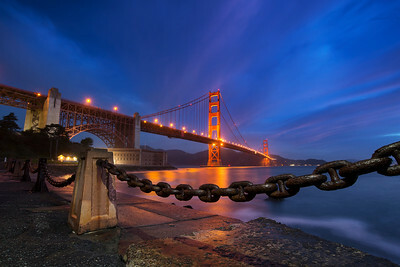 I hadn't been up on Slackers in some time. 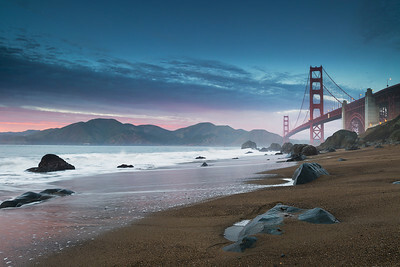 It was nice to visit an old friend. 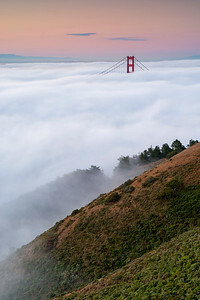 Conditions were fickle as usual but worth it. 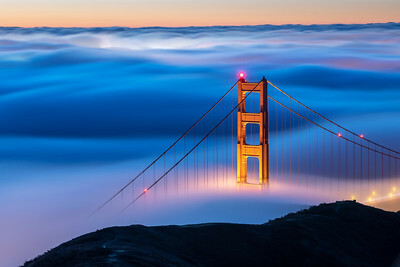 The Golden Gate at dawn. 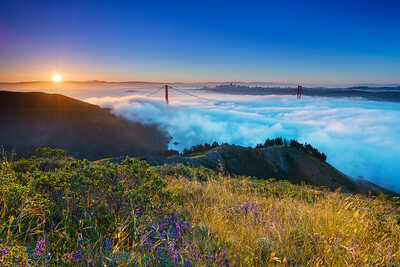 With the crisp green hills, Spring is my hands down favorite time of year to shoot the Golden Gate from the Marin Headlands.